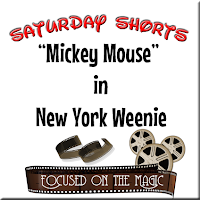 Continuing along in our Saturday Shorts Series we're sharing not only a fun short but a Mickey media alert (see below) that is great news for "Mickey Mouse" cartoon lovers. A new generation of Mickey Mouse cartoons for viewers of all ages has been launched via the new FREE Mickey Video App for iOS , the Disney Channel and Disney.com. I have the app and will be doing a full review but for now all I can say is, This is free! Each of the new cartoons features Mickey in a different location including Santa Monica, New York, Paris, Beijing, Tokyo, Venice and the Alps, facing a fun dilemma similar to the cartoons gags of the 50's. Mickey is joined by his pals, Minnie Mouse, Donald Duck, Daisy Duck, Goofy and Pluto. Mickey got his start in 1928 with the cartoon short “Steamboat Willie” – and now he’s starring in an all new short-form series of 19 comedy cartoons, titled “Mickey Mouse” which are now live on both Disney.com’s new Mickey & Friends website and Disney’s new Mickey Video app, available for iOS devices on the App Store . The new site and app give fans direct access to the new shorts and additional Mickey Mouse extras on all of their favorite platforms and devices. After premiering on Disney Channel, each “Mickey Mouse” short streams on the new Mickey & Friends website, which is the digital home of Mickey Mouse and a comprehensive gateway to all Mickey games, videos and content on Disney.com. 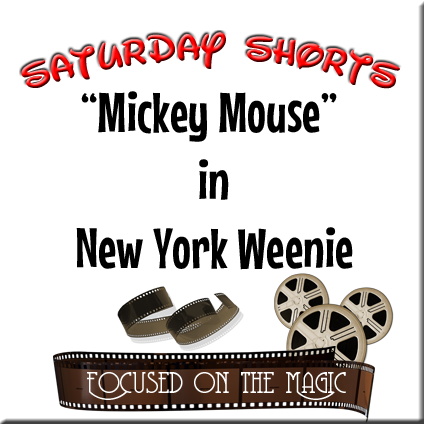 Upon debut, the shorts will also be immediately available in the new Mickey Video app. The first four episodes, including “Croissant de Triomphe” set in Paris and “No Service” set in Santa Monica are live now. You can also see a behind the scenes look at the making of the new generation of “Mickey Mouse” Cartoons, from the series executive producer and legendary animator Paul Rudish below. Do you like the new favorite Mickey cartoons? Do you have a favorite? 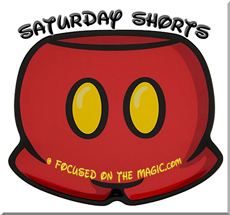 Click for more Saturday morning cartoon fun.